Honarmand, N., Kiamanesh, A., Karimi, A. (2018). The Role of Teacher’s Characteristics on Mathematics Performance of eighth- grade students from 2003 to 2015 (based on International TIMSS studies). Iranian journal of Learning and Memory, 1(3), 1-1. Nahid Honarmand; Alireza Kiamanesh; Abdolazim Karimi. "The Role of Teacher’s Characteristics on Mathematics Performance of eighth- grade students from 2003 to 2015 (based on International TIMSS studies)". 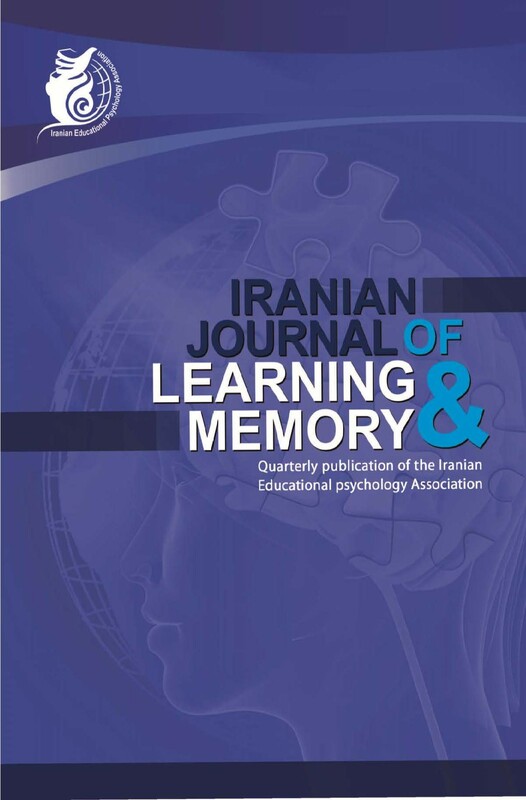 Iranian journal of Learning and Memory, 1, 3, 2018, 1-1. Honarmand, N., Kiamanesh, A., Karimi, A. (2018). 'The Role of Teacher’s Characteristics on Mathematics Performance of eighth- grade students from 2003 to 2015 (based on International TIMSS studies)', Iranian journal of Learning and Memory, 1(3), pp. 1-1. Honarmand, N., Kiamanesh, A., Karimi, A. The Role of Teacher’s Characteristics on Mathematics Performance of eighth- grade students from 2003 to 2015 (based on International TIMSS studies). Iranian journal of Learning and Memory, 2018; 1(3): 1-1. The purpose of this study has been to review the changes in the role of demographic and personality variables of mathematics teachers in predicting the mathematical progress of eighth-grade students in Iran and has analyzed the trend of these variables in four international studies. For this purpose, we examine the data from 21434 eighth graders and 877 math teachers who had participated in four TIMSS studies(2003, 2007, 2011, and 2015). Among the educational variables influencing the educational development of 10 variables including gender, age, history of teaching, the degree, major, teaching hours, job satisfaction, confidence, interaction with other teachers and teaching method using statistical methods of Pearson correlation coefficient and multiple regression analysis were investigated. The findings related to the demographic variables showed that the students ' mathematical performance changes were almost consonant with the changes of age, history of teaching, and teaching hours in both groups of male and female teachers. This coordination was not similar about the major and academic degrees. The results of multivariate regression showed that the students ' mathematical development was explained by a set of demographic and personality variables. Among these variables, teaching history and self - confidence of the teachers played the most important role in explaining the students ' progress, and the variables of the degree of education and gender in this basis did not contribute to the explanation of the students ' math’s progress.